DETROIT — The Detroit 3 will collectively write $1.19 billion in 2018 profit-sharing checks to nearly 150,000 hourly workers, capping the most lucrative four-year stretch of bonuses for the UAW rank and file since the automakers agreed to them in 1982. The bonuses total nearly $5 billion since 2015, or about six months' extra pay per worker. But the checks for 2018, to be paid out by March, amount to the lowest total payout since Ford, General Motors and Fiat Chrysler Automobiles ratified their current deals with the UAW in 2015 and could portend contentious talks — and potential change — this summer and fall as the sides hammer out a new four-year pact. The industry faces a more uncertain outlook than during the last round of formal bargaining, when Ford and GM were on the cusp of record earnings and the industry was about to set a new mark in U.S. sales. Now, GM is in the midst of closing assembly plants and laying off salaried employees, Ford is undergoing a global restructuring, and FCA is navigating life after the death of CEO Sergio Marchionne, who was instrumental in getting the company out of a net debt position last year for the first time since its bankruptcy. The sobering realities of a post-peak market could mean lower profits and, as a result, lower profit-sharing checks. That won't sit well with a union seeking additional gains for its members. While specifics of the UAW's upcoming bargaining strategy are unclear, it could look to change the profit-sharing formula or drop the practice altogether in favor of wage gains that wouldn't fluctuate year to year, said Kristin Dziczek, vice president of industry, labor and economics at the Center for Automotive Research in Ann Arbor, Mich.
"I think the membership would much rather have base wage increases with the fact that profits are likely to be smaller going forward," Dziczek told Automotive News. "We're setting up for a showdown this fall." Although the amount has fluctuated year to year, Detroit 3 workers have received a cumulative $4.96 billion since 2015. That includes $10,750 from GM, $7,600 from Ford and an average of $6,000 from FCA for 2018. The Ford and FCA figures both increased modestly from 2017, while GM's payout dropped by $1,000 per worker. GM's payment has topped $10,000 for each of the last four years, and its employees have made substantially more than their counterparts at Ford and FCA over the course of the 2015 contract. GM has paid out $2.26 billion since 2015, or $45,500 per worker. That's more than an extra year's worth of pay for a worker hired in 2015 and an almost 20 percent bonus for workers who make the top-tier wage. Ford has spent $1.83 billion, or $33,400 per worker, over that stretch, while FCA has paid $875 million, or $21,500 per worker. Since 2010, GM says, its workers have collected more than $80,500 in profit-sharing payments, leading the Detroit 3. Two years ago, it paid the maximum $12,000 allowed under the contract, an amount that seemed far out of reach when the formula was changed in 2011. That's when the companies agreed to be more transparent and base the figures on a simpler equation. Ford and GM workers now receive $1 for every $1 million in North American profits earned by their respective companies. FCA's formula is $800 for every 1 percent the company achieves in North American profit margin, though the actual payment depends on how many hours an individual worked during the prior year. Profit sharing was meant to ensure that automakers could spread the wealth during good times while guarding against high fixed costs during an economic downturn. Until less than a decade ago, payouts were generally no more than a few thousand dollars. During down periods for the automakers, workers often got nothing. GM hasn't always been the top payer. From 1993 through 1999, the pre-FCA Chrysler paid considerably more than its crosstown rivals. The gap at times was as much as $7,000 more per year than GM. The UAW and its Canadian counterpart, Unifor, have a fundamental disagreement over the idea of profit-sharing. Unifor has opted to focus on guaranteed wages. 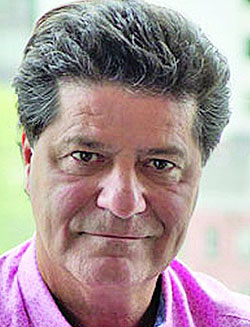 "Our members, on average, make over $5 more per hour than they do with the UAW," Unifor President Jerry Dias recently told Automotive News Canada. "So we get $10,000 more per year every year, not just during times of high profitability. I'd rather [have] a guaranteed $10,000 a year." All three companies are generating most of their income in North America, which is why profit-sharing payments have been at historic highs in recent years. GM last week reported a $2 billion fourth-quarter net profit, as strong North American results offset restructuring costs and losses in its international operations and autonomous vehicle unit. For the full year, GM reported adjusted earnings, before interest and taxes, of $11.8 billion, down 8.3 percent from 2017. FCA reported fourth-quarter net income of $1.47 billion, up 61 percent from a year ago. For the full-year, FCA's net income rose 3 percent to $4.1 billion. Revenue for the year ramped up 4 percent to $131 billion. Ford in January reported a $116 million loss in the fourth quarter. For the full year, revenue rose 2.2 percent, but net income fell 52 percent to $3.7 billion. All three automakers are projecting improved results in 2019.